The Citroën Light 15 was the British built right hand drive version of France's iconic Citroën Traction Avant built between 1934 and 1957. The Light 15 was made to appeal to the British market and included leather seating, wooden dashboard and trim, extensive chrome work and the optional extra of a sunroof. 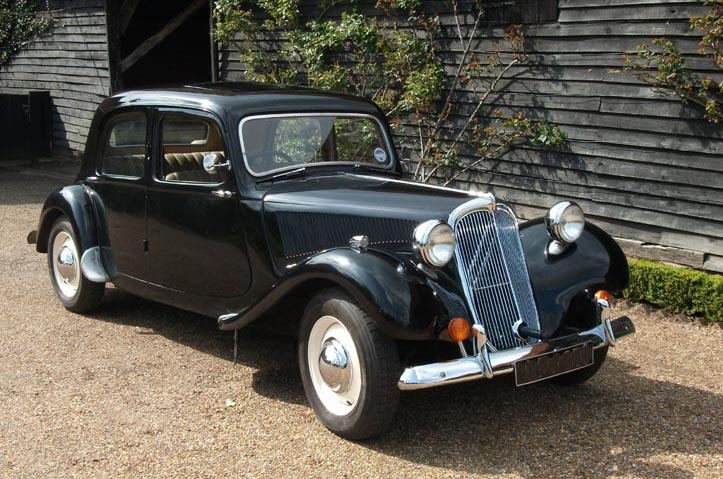 This 1951 car is a small boot version of the Traction Avant and has cream coloured seats and a sunroof. While not concours, it is in good condition and excellent running order. Available for wedding hire in the Guildford, Weybridge, Leatherhead and surrounding areas of Surrey.